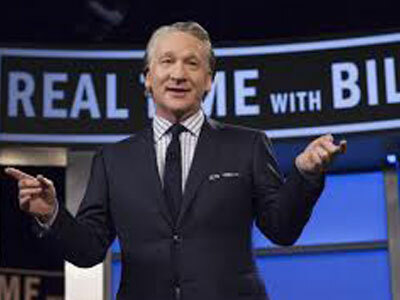 Bill Maher screwed up last Friday. The N word is so emotionally freighted with the memory of slavery, lynching, and discrimination that it’s never o.k. for a white person to use it, no matter what the circumstances. I learned this lesson from Cornell Brooks years ago. I used the word quoting Bull Connor. Cornell explained to me that he knew I was just quoting Connor and respected my work as a civil rights lawyer. Just the same, I was wrong. I learned my lesson that day. Now Maher has learned it too. He’s publically acknowledged his mistake and apologized. Maher’s teachable moment is hopefully a learning experience for other well intentioned white people. But let’s not lose our focus. Bill Maher isn’t the enemy. He’s not a racist. His track record speaks for itself. The avalanche of calls for Maher to be fired is misused energy that would be far better spent on real abuses like police abuse, mass incarceration, and job discrimination. It’s only human to go after Maher. Fighting the real abuses is hard work and those of us who do it are often frustrated by the lack of response from the powers that be and the public. For all the well-deserved attention Black Lives Matter has received, most of the cops caught red handed on video shooting unarmed black men have gone unpunished and the carnage goes on. It’s only human to lash out at Maher in our frustration. He made a serious mistake on national television. But spending our energy getting him fired is like masturbation; it feels good but doesn’t accomplish anything. Maher has been duly chastised for his mistake. He’s apologized and apparently learned a lesson. Let’s move on and refocus on the real problems of racism in our society. Liza Concepcion was a victim of consumer fraud by AT&T. The company promised her a free cell phone if she signed up for its wireless service. Then they charged her sales tax on the “free” phone. Concepcion couldn’t afford to sue; just talking to a lawyer would have cost her more than she was cheated out of. However, Concepcion was only one of thousands that AT&T had fooled. Collectively, they had been defrauded of millions. The law firm of Hulett Harper Stewart filed a class action on behalf of all the victims. Then Concepcion entered a hall of mirrors. First, she was told that her contract with AT&T required her to take her claim to arbitration. That didn’t seem so bad; the arbitration system looked fair and would probably be faster than going to court. Then the second shoe dropped. Her contract with AT&T also said that she couldn’t bring a class action suit in arbitration. Since this would mean no one could sue, her lawyers challenged the contract in court. When the court ruled against them, they appealed all the way to the Supreme Court. 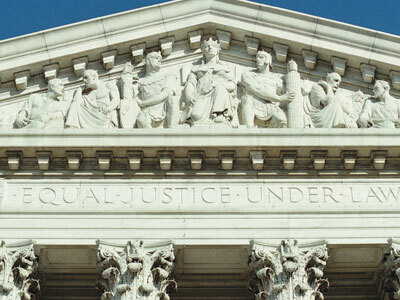 On April 27, 2011, the Supreme Court upheld the AT&T contract. Liza Concepcion and the other victims were caught in a catch-22 and AT&T was home free. Now that other corporations are aware of this new “get out of jail free” card, we can be sure they’ll use it again.